Description: Amazing home loaded w/extras! Updated kitchen w/granite tile counters, upgraded appliances, planning desk & loads of cabinets. Formal liv & din rms. Lg grt rm w/bookshelves, wet bar & firpeplace. 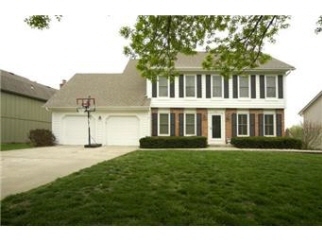 Huge master suite w/his & hers closets, jetted tub, heated tile flrs & new shower. Fin bsmt w/rec rm. Fenced yd with deck & patio. Updated to perfection! From I-35 & 87th ST. 87th ST E to Alden. N to home.